Many experts are lead to believe that autism presents itself in the first three years of life. It can affect normal brain function, affecting the person’s overall development as well as their social and communication skills. In fact, according to the CDC, an average of 1 out of 68 children in the United States alone can be affected by autism. Although there are different causes, experts are led to believe that genetics is the main cause. Autism Spectrum Disorder, or ASD is synonymous with autism. It refers to a developmental dysfunction that’s caused by a brain abnormality, thus, causing the person to have social and verbal difficulties. People suffering from this disorder can also have trouble adjusting to sudden minor or significant changes in routine. Asperger’s Syndrome is a form of autism and usually labeled as a “high functioning” type because people who have this can have average or higher IQs. They typically encounter few problems in speech but can still find challenges in understanding language and emotions. 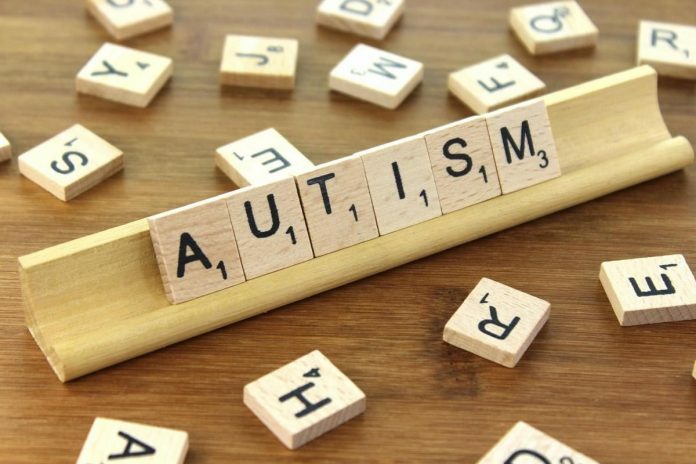 Autism has different symptoms that may vary, meaning that some people will present with entirely mild symptoms compared to others that are more severe. The communication style of people with ASD can be entirely different. If the symptoms are usually mild, they can be known to make remarks that can be offensive to others, or have clumsy replies that can be out of sync with everyone else. They also tend to make very minimal eye contact and miss obvious cues people normally give to catch another person’s attention. Most ASD sufferers find it hard to empathize with another person’s feelings. Empathy never comes naturally to them. However, with constant reminding and practice, this can gradually improve over time. They also tend to talk so much about a particular topic, and have the tendency to dominate the entire conversation. Physical contact is an amazing thing, but most people with ASD find it somewhat uncomfortable. However, this is not always the case, as some find themselves enjoying a warm hug of a loved one. However, it may require constant practice and those suffering from ASD will generally need to anticipate when the contact will happen. A person with autism doesn’t like loud noises, sudden changes in lighting, and certain scents. However, to them, it’s not the noise, lights, or smells themselves that cause them to behave in a shocked manner, but rather the element of surprise these bring. Those with ASD may have a tone of voice that always sounds formal, and in more severe cases, they cannot speak at all. Others may also suffer from a condition called echolalia, where they repeat phrases or words they often hear. Certain repetitive, predictable and routine behaviors sound so mundane to us, but for a person with autism, these may be preferred. For an average person, it’s not a big deal to encounter changes in procedures. However, do that with a person with ASD, and they’ll easily become upset. In children with ASD, cognitive skills may develop relatively fast, however, their social and communication skills are lagging behind. There are times where bouts of learning can be so unpredictable. For example, individuals with autism may learn faster than most people do, only to forget all about it after some time. Tics are somewhat jerky movements that are relatively common for ASD sufferers. While most can control these physical movements from happening, others cannot. There is relatively no known ‘cure’ for autism. However, it doesn’t mean that there are no treatments involved that can improve their overall quality of life. Autism, known as a “spectrum” condition, can present itself in varying characteristics and combinations that can’t be entirely generalized. That is why you may wonder why an excellent treatment plan that works for one person with ASD may not be as effective with another. People have different profiles as well as sets of needs that require further attention. If you want to seek professional help, you can consult a professional Psychologist for coaching and counseling to help your loved one with ASD overcome specific issues affecting their mental health and emotional being. Getting the help they need can lead to a more productive and healthy life for years to come.